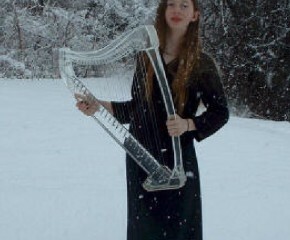 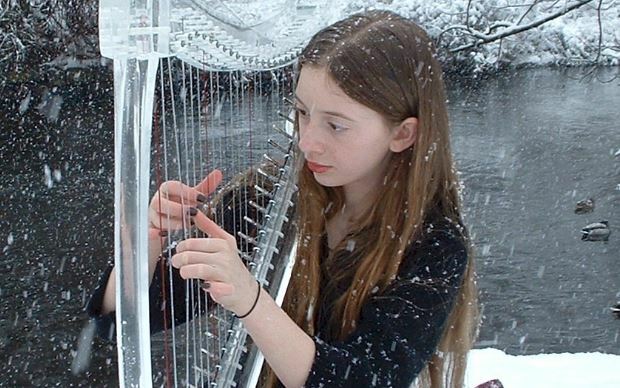 Clear harp being played in an actual snowstorm! 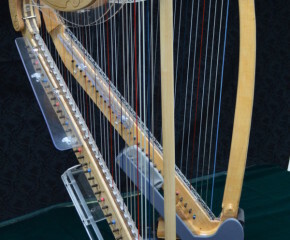 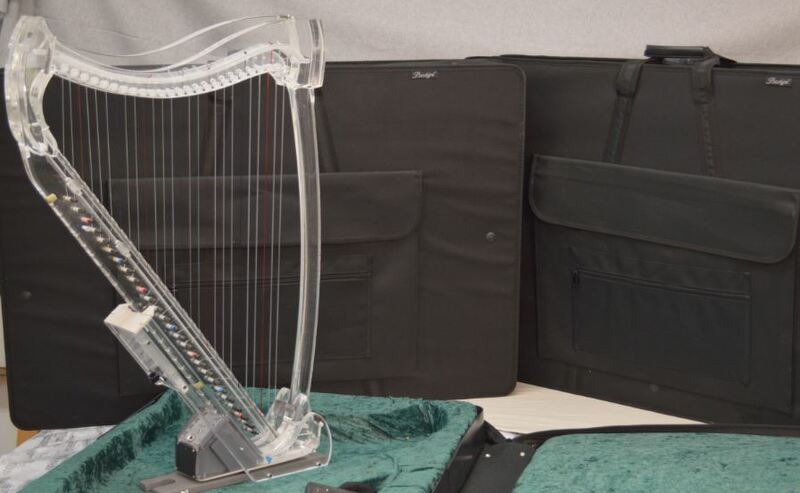 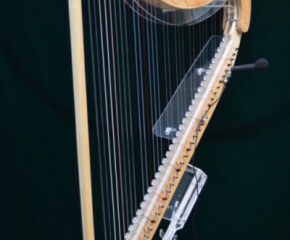 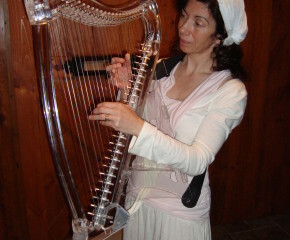 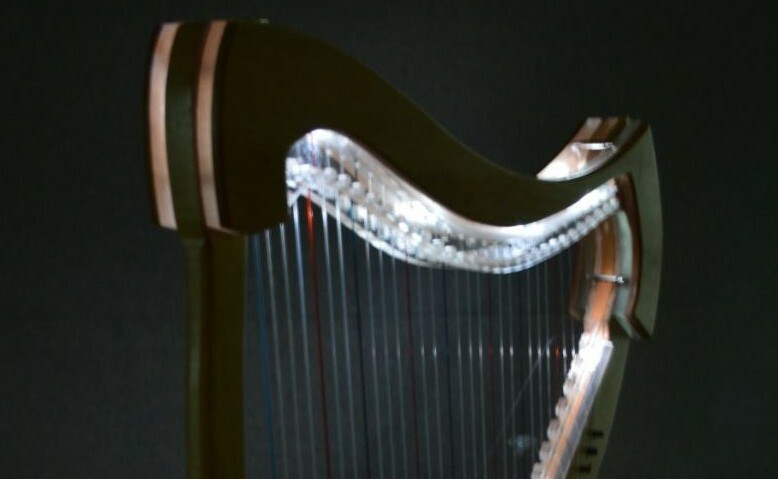 The Electric Elegance 40 string harp strikes an impressive look at weddings, events, and concerts. 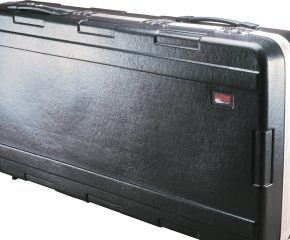 It has deep bass and twinkling highs, but even with all this, the weight is under 25 pounds! 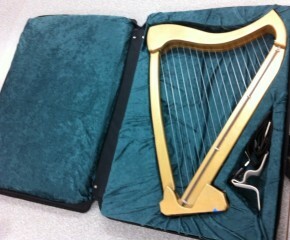 "Something exciting arrived! 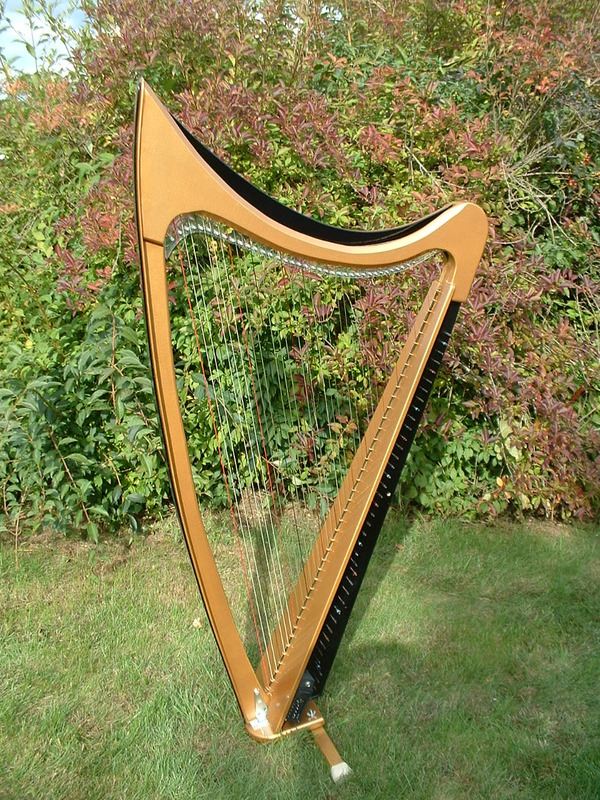 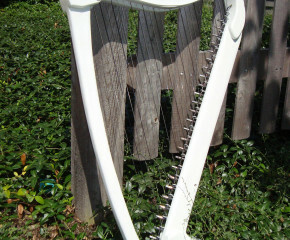 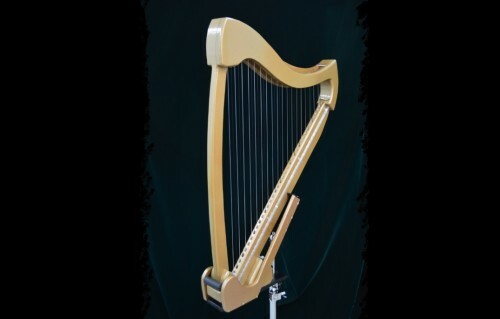 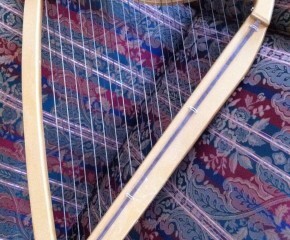 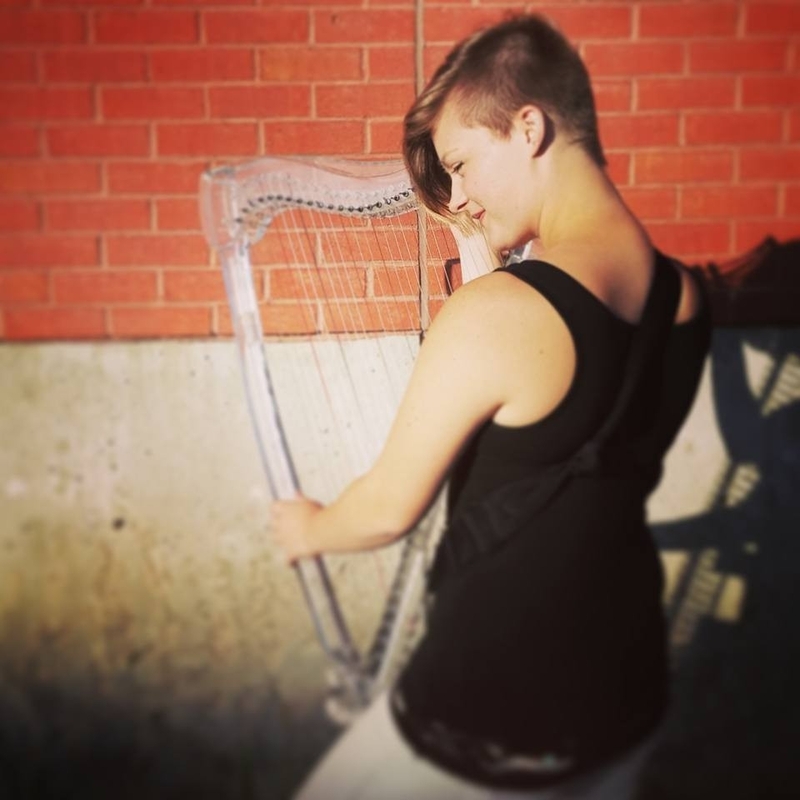 A new harp prototype design that we’ve been working on with Cassista Electric Harps! 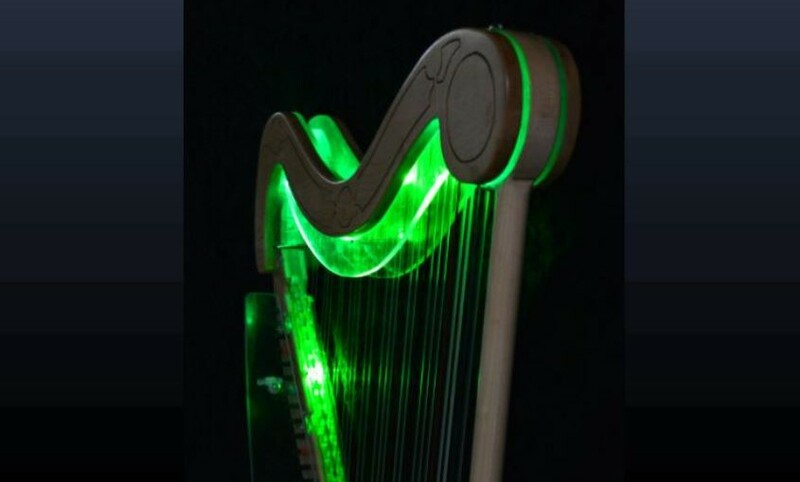 Excited for this collaboration and innovative harp! 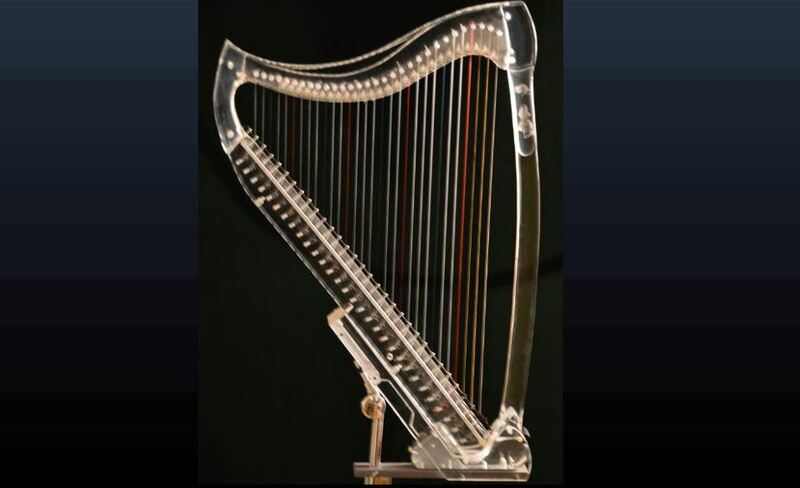 :D :D"
A Chromatic harp provides every note within a range, without the need for levers.